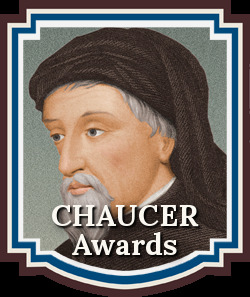 Chanticleer Book Reviews is seeking for the best books featuring Pre-1750s Historical Fiction, including pre-history, ancient history, Classical, world history (non-western culture), Dark Ages and Medieval Europe, Renaissance, Elizabethan, Tudor, 1600s, we will put them to the test and choose the best among them. Currently accepting entries. Deadline: June 30th, 2016. Fees and Digital File must be received before June 30th, 2016 midnight. Cinnamon Press competitions have been offering new and established writers excellent publication opportunities for the last seven years. Several authors who have won the competition have gone on to win other prestigious prizes or been short listed for major awards. From autumn 2012 we are re-launching the writing awards to make them even more accessible to a greater number of writers. The competitions in three genres will continue to run twice a year, but with a new pricing structure and new prize structure. We hope that writers will continue to enjoy the competitions and take advantage of the opportunities they provide. The aim of this award is to provide a platform for new voices in poetry. The competition is open to new and published authors. The aim of this award is to encourage new novelists, encouraging debut novel and novella writers to achieve a publication in this genre. Entrants for the novel/novella and poetry categories should not previously have had a novel/novella or full poetry collection published (those with pamphlets and self published collections are eligible). Short story writers may have previous publications of single stories or story collections or may be new writers, but the story submitted must be unpublished. Submit the first ten thousand words of your novel/novella or 10 poems up to 40 lines (unpublished) or story of 2,000-4,000 words (unpublished) in a clear type script, double spaced for prose. Do not put any other identification on the work, but enclose a separate attachment with name, address, email contact & nom de plume and titles of poems/working title of novel/story title. Deadlines fall twice a year on 30th June & 30th November. The next deadline is 30th November 2012. Entry is £12 per entry for all categories. You can optionally add £4 to this to include a copy of the winners’ anthology for the poetry and short story categories, or a novel/la by a previous competition winner for the novel/la category (worth £8.99). Payments can be made online at www.cinnamonpress.com using PayPal. Work will not be returned, so please keep a copy.